Home > Questions-Answers > What is a migraine with aura? Some people with migraine will have an aura before their headache attacks. Less than a third of people with migraine will have an aura with at least some of their headache attacks, and only a small minority, perhaps one in nine migraine patients will have an aura with most or all of their headaches. The most common aura consists of visual symptoms. Often the person sees bright lines in their vision, which expand over minutes. Areas of reduced vision or blind spots will often follow or be associated with the bright lines. 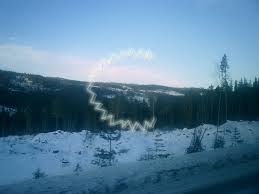 Not all visual auras are this typical, however, and a variety of visual symptoms may occur. They typically last less than an hour, and often only 15 or 20 minutes. The headache usually follows right after the aura, or within an hour after it stops. In addition to the visual symptoms, or instead of them, some people will experience numbness or tingling which usually spreads slowly over a part of the body. It commonly involves the hand and the face on the same side. Other people experience speech disturbances as part of their aura. Although aura symptoms may be frightening at first, they are generally harmless, and people may experience them many times over a lifetime without harm. However, they should be discussed with your doctor to ensure that they are not due to another cause.